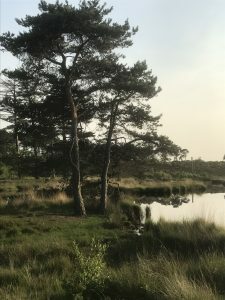 Just outside our B&B you can enter the Overasseltse and Hatertse Vennen, a magnificent nature reserve where you can walk or use your bike for hours on end. Right on the edge of this reserve you will find the 15th century ruin of the St. Walrick Chapel and the nearby summer oak that is worshipped as the ‘Fevertree of Overasselt’. Overasselt is a small village of only 2500 people. In spite of this small number of inhabitants you can find the grand Holy Antony Church in the middle of the village. Just down the road you’ll find the much smaller, but picturesque Dutch Reformed Church. The oldest city in the Netherlands has many sights. There are several museums, like the Valkhof museum and the MuZIEum. Nijmegen is a student city and therefore offers a great night life and many bars and restaurants, for instance on the Grote Markt or the Koningsplein. In the Honigcomplex, an old soup factory, you can have dinner or go to dance parties and theatre. In the city centre you will find many shops, not only in the main shopping area, but also in the Hezelstraat, the oldest shopping street in the Netherlands. On the other side of the river Maas, about five kilometres from our B&B, you will find the small fortress of Grave. Grave is a monumental little town and a walk through the authentic centre will be worth your while. There are also many beautiful old buildings and eccentric little shops in Grave and of course, there are plenty of cafes and restaurants. Ravenstein is another old town with many monumental sights. You can go for a city tour, visit the town brewery or the tannery museum. From early May until the end of September you can cross the river Maas by a small ferry to the little village of Niftrik. From the river, you’ll have a beautiful view of Ravenstein. Ravenstein of course also offers some cafes and restaurants.